We welcomed new board members who have enriched our team and brought skill sets to the table that will help us do what we do at a new level of excellence. Christa Smith came on as our board secretary, Jeremy Phelps is our new production advisor, and Jossie Beck joined Janet in our stateside fundraising efforts. Our training school graduated 125 women in 2015. Our courses are offered for free to women who do not have the opportunity for education through any other avenue. Where there was once no hope to change their future, there is now hope! This training means doors open to job opportunities, and women, who before had no employment potential, are now marketable. This changes everything for our women and their families. We are in a time where “do good” commerce is on the rise-- a time where people are beginning to ask the question, “Who made my clothes and under what conditions?". These are important questions to ask, and I can only hope this movement continues to gain momentum. Mi Esperanza has been asking these questions and addressing this issue since 2004...longer than Blake and Tom’s One for One. We have done this through the development of the Mi Esperanza brand and introduced to the market place goods that change the world not just our wardrobe. It has been the year of employment for women--the largest demographic of Honduras’s 60% unemployment. After 13 years of producing ethical good, the doors are open and designers are seeking us to produce their brands goods. We call these designers Partners in Hope. This work is a huge blessing to the program as a whole and the artisans we are developing. In 2015, we produced 95,000 pieces of jewelry and 7,000 pieces of textiles. 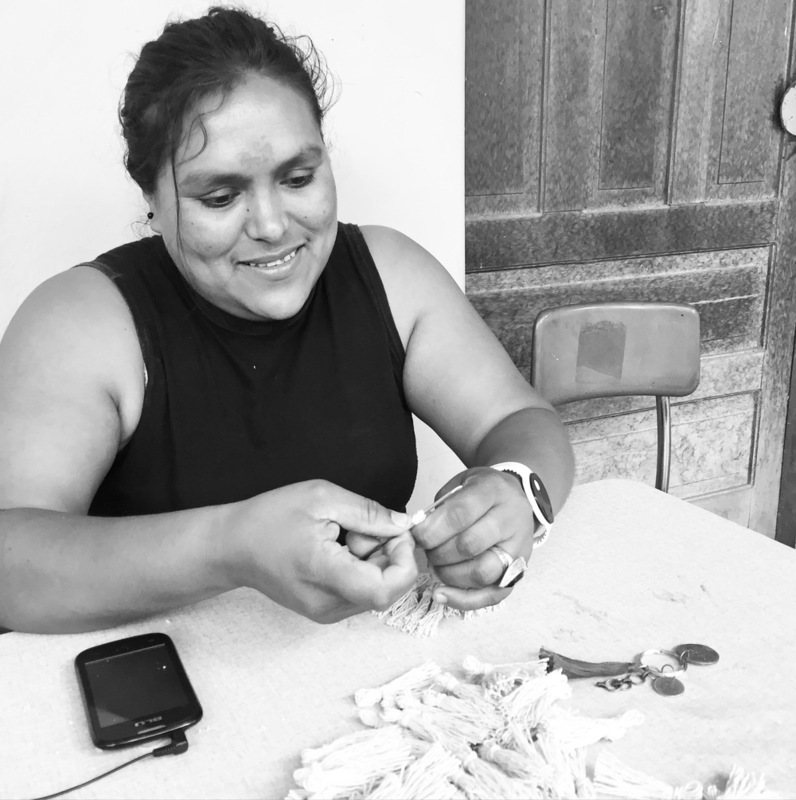 The women who have received these jobs are Mi Esperanza trained artisans; this represents a complete circle in our efforts. We are deliberate and passionate about providing a healthy work environment where women have a voice and freedom. We fight for above fair wage so that our women receive a living income. We elevate women because we know this WILL change their lives and the lives of their children. With the growth in our production house, we hired Alana Neptune as our production manager. She works with our designers/partners in managing their production needs. HOPE SUPPLY launched in 2015 and was a bigger success than we could have imagined. We sold out of first box in just a few weeks. Hope Supply is a collaborative effort between Mi Esperanza and our Partners in Hope. It is a bi-annual subscription box that contained a curated collection of products from Mi Esperanza and our partners. Hope Supply offers more work to our women, and ALL proceeds go back to the skills training programs of Mi Esperanza and helps us to educate over 100 women each year. We are looking forward to an exciting 2016!